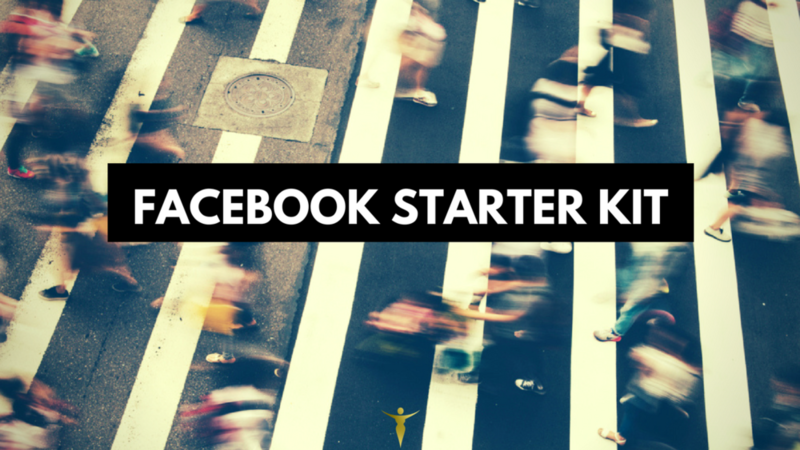 Many businesses, not only yours, go back n' forth about owning a Facebook Fan page. How do I use it to promote my business? Are my potential clients on here? Will it be worth my time? Does it make sense for the type of business I own? Recently, with the decrease in organic traffic these are valid questions. Even business owners who have a Facebook page ask. Working with companies to grow and strengthen their online presence, turning around negative press can happen to the best of companies. For instance, a client of mine was struggling to combat negative online reviews. Once we implemented a social strategy that created a channel for clients to issue concerns with the company --it transformed into praise. Usually, social media is the easiest tool to reach your company. If they didn't get a hold of you through a phone call or an email. They're heading straight to your social feed to showcase their displeasure or satisfaction. You need to be in place to respond. YOU ARE NOT ALONE. "I am here with you. Though we're far apart..." Sorry, I got caught up in the moment. Your uncertainty of the benefits of being on Facebook is normal and we'll put those questions to bed. Because firstly, you won't know if it's for your business unless you test it out. Thankfully, I went through the testing phase for you and we can fast forward to the whys and hows of using a Facebook page to its full advantage. With more than 2 BILLION active users, simply put, Facebook is here to stay. If by chance, you were thinking it's a fad and people will move on to the next social media platform --this is false. As long as social creeping or stalking exist, so will Facebook. Unfortunately, we've been spoiled by instant gratification helping us to cope with FOMO. The fear of missing out on what other people are doing, what others are watching, wearing or talking about. We as humans, want to know what's going on in the world. And to see if we're doing better than the people we knew back in high school. That's where your business steps in. You can be what people are talking about and sharing. All you need to do is appeal to this basic human need --connection. Facebook helps companies be people online instead of just a brand logo. And this is good. How good? You're about to find out. Just to reiterate, if they're not, they are strange. Currently, I have an account just to have a Business Fan Page. I may not like it for personal endeavours but on the business side of things, it's outstanding. However, I'll get to that a bit later. Just because you don't like Facebook, doesn't mean your customers share the same sentiment. For B2C businesses this is a no-brainer for you. Yes, you need to be on Facebook! All of your clients are on here. See headline for this section. For B2B businesses who struggle with Facebook's purpose because it's so personal and less, well...business-y. What you may have forgotten is we do business with people, not logos. If you can change the way you present content on this platform, you change how the right person perceives your brand. Having a Facebook page allows you to get away with not owning a Website. Now, this isn't a replacement for a website, it's a temporary placeholder until you get your digital home space together. You need an online place you own, as these social networks are rented space. Their primary function is to help distribute your content and connect you to the right people. Nonetheless, you can advertise your business and cash-in on Google presence with only a Facebook page to start. Let me introduce you to Facebook ads and its powerful detailed targeting. You don't need fans to start marketing. You can use your email list, your website traffic, your LinkedIn contacts, even the engagement from your Instagram page and Facebook's existing data to create an audience. Facebook is known to be a database of information, due to it being a country of its own with a vast population of people. They know your interest, your income bracket, where you work and what you ate for supper last night. Facebook takes that data and helps whoever will pay to play get their ads in front of the right people. Hence, the reason on a personal level --I despise Facebook. But on a business level, I bring my pinkie to the side of my mouth like Dr. Evil in an Austin Powers grin. With that said, you can't throw up any plain old generic ad. It just won't work. People are on Facebook to connect with people they know. They want to look smart, witty or in touch with what's going on in the world. If you can help them do those things, you got yourself a powerful ad that will convert. Remember this one general rule of thumb: help your audience share interesting information with their audience. By now, you would have set up your website. Facebook will hand you a Pixel to track the traffic on your website and market it to the people who've visited. That my friend is called re-targeting. Retargeting is important because it makes you seem familiar when you're constantly showing up in your audience's timeline. Have you ever seen a McDonald's ad multiple times in the day then all of sudden you have this weird craving for french fries? The same rule applies here, get your audience to want your fries. If your business fits into the platform Instagram, it wouldn't hurt to open an account here too. One, it connects to Facebook's powerful ad targeting because it owns Instagram. Two, it makes it easier for people to reach out to you by having a business account set-up on Instagram. And three, for access to the detailed analytics on Instagram. You will find out who is following and engaging with your brand and that will help you to produce future effective ads. It's easier to gain traction on Instagram because it's harder to automate it (at this point but things are changing). You actually need to have a more thoughtful approach on this platform, which in return, will yield a higher conversion rate. Do You Have a Facebook Fan Page? If you don't see the benefit of having a Facebook Fan page for your business, you will. I can show you how to gain new clients with strong social media messaging. See how. In a world full of copycats our passion is the only competitive edge left.